Huge congratulations are in order for Exchequer’s Alleana and Darren who got hitched on 16th June! 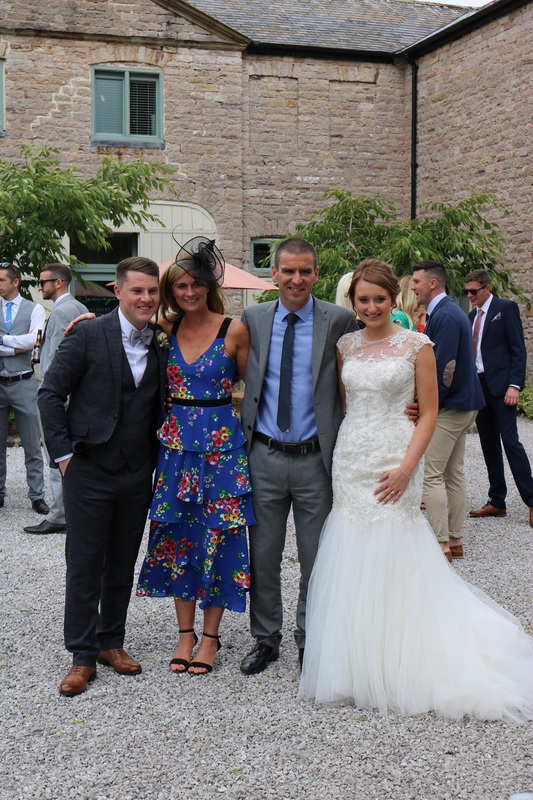 Senior National Account Manager, Darren, and Customer Service Office Manager, Alleana, were married and held their reception at the beautiful Llanrhaedr Spa Springs, North Wales. Attended by many of the Exchequer Solutions team, the entire day was filled with lots of love, laughter, dancing and beautiful weather. The happy couple enjoyed a jam-packed week after the weekend of their wedding which saw them take a two-night trip to York to stay in the Churchill Bridal Suite, followed by a weekend away in Amsterdam with 32 friends to watch Ed Sheeran in concert. Darren and Alleana plan to celebrate on a longer honeymoon next year by travelling to Italy and visiting sites across Rome and Venice. On behalf of the entire Exchequer Solutions team we want to wish Alleana and Darren a very happy future together and thank you for letting us be a part of your special day.